This three-tiered boom stand is loaded with usable features. 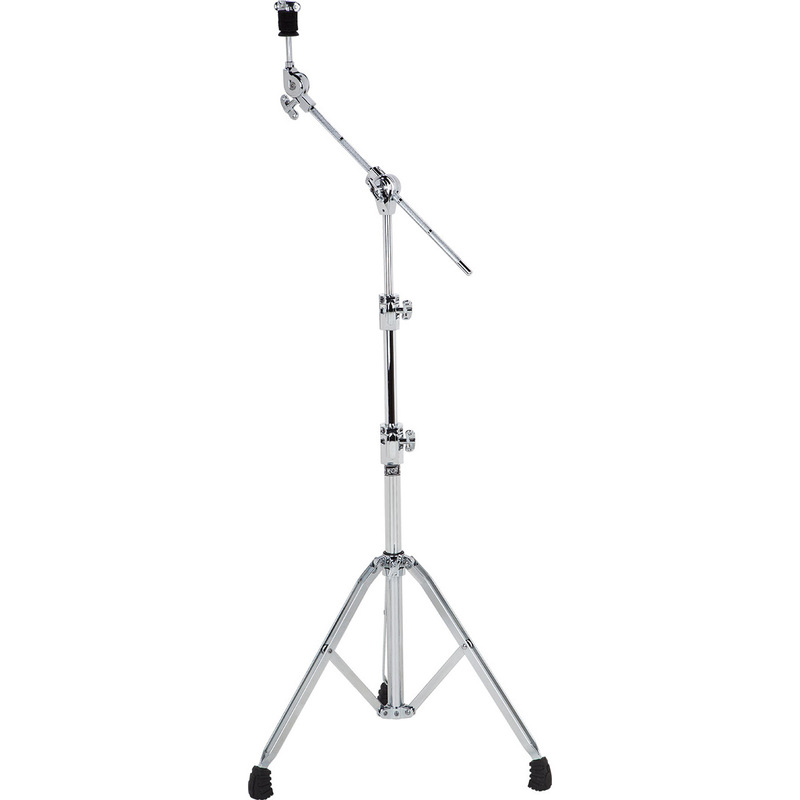 The disappearing boom arm allows the stand to be used as a straight or a boom stand, allowing for the drummer to spread out for maximum comfort, or pull in tightly for smaller stages  all the while, allowing for perfect cymbal placement with the micro-geared tilter. All tiers, including the boom arm, include memory locks to assure consistent placement  night after night, session after session. The memory lock on the bottom tier allows for consistently perfect leg positioning, and the double-D wing nuts are substantial without being overbearing  allowing for great grip when adjusting height or position. The Mercury-exclusive molded feet allow not only for slip-free placement, but preserve the resonance of cymbals  or any toms suspended off of the stand.